California’s coastal and bay areas will experience a variety of impacts stemming from sea-level rise, precipitation changes, and other climate change impacts. Scientists estimate that sea level has risen seven inches since 1900, and is projected to rise 12–18 inches by 2050 and 21–55 inches by 2100. Projected sea level rise, compounded by shifting precipitation and extreme weather events, will impact an estimated 480,000 residents and at least $100 billion in property throughout California. Large numbers of people and extensive infrastructure will be at risk from inundation during coastal storms as higher sea levels, high tides, storm surges, and inland flooding coincide. More on Sea Level Rise. 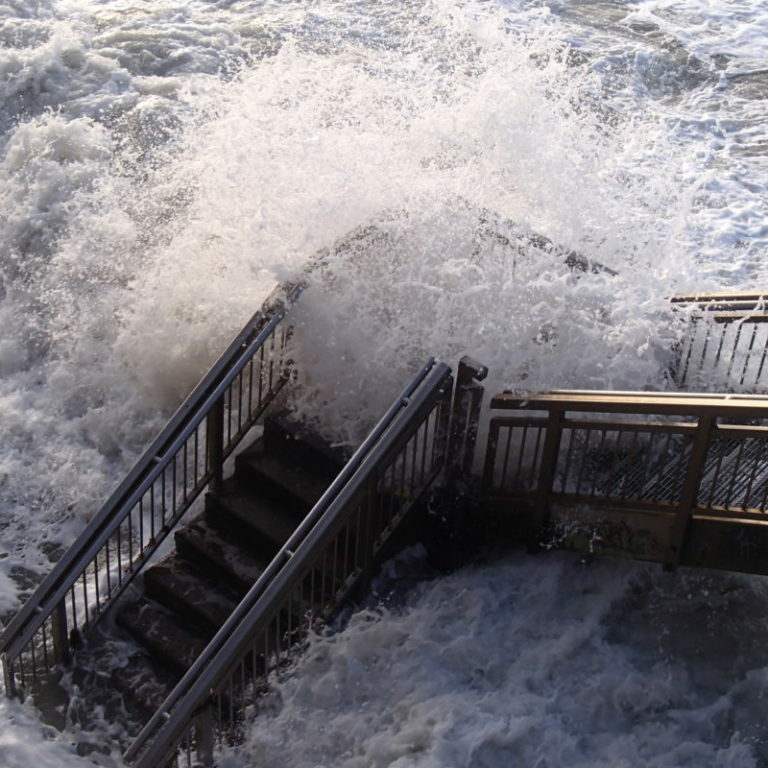 As our state attempts to forecast and adapt to coastal changes and projected impacts of unprecedented impacts, the annual ‘king tides’ offer an opportunity to envision future impacts and have a practical discussion about how to prepare. 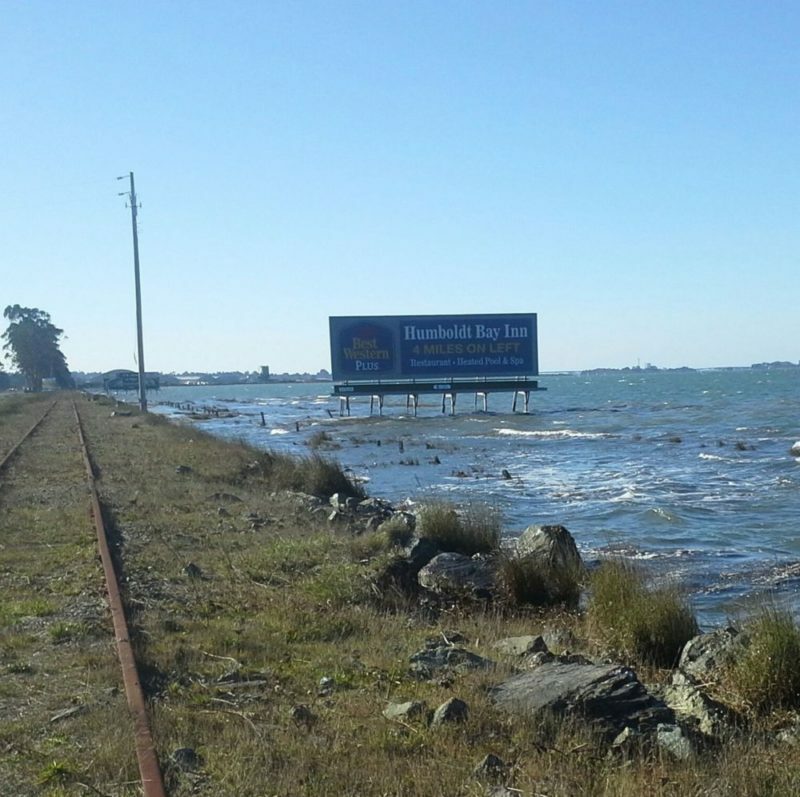 The term ‘king tide’ is used to refer to the highest tide event in each monthly tidal cycle. It isn’t a scientific term, it is used to describe an ultra-high tide event, when there is alignment of the gravitational pull between sun and moon. 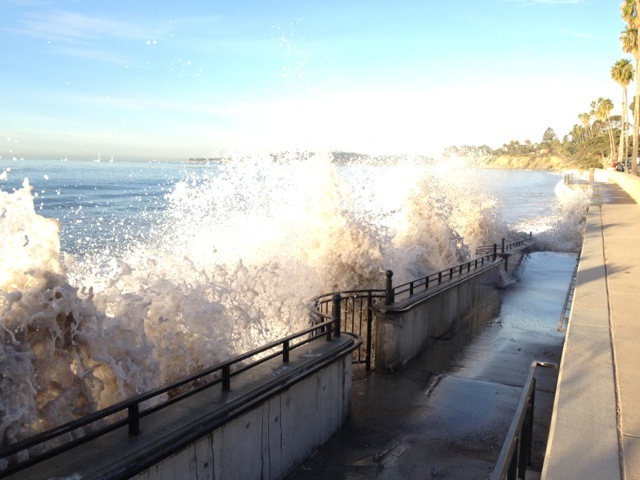 When king tides are coupled with wet weather during the winter, the king tides events can offer a glimpse of how future sea level rise will impact shoreline ecosystems and communities. In 2010, California Coastkeeper Alliance co-founded the California King Tides Project with state and federal coastal and ocean agencies. 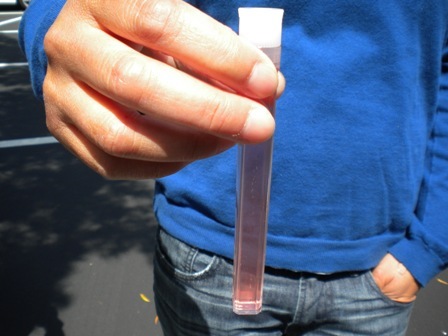 Every year, California Coastkeeper Alliance and local Waterkeepers work with citizen scientists, including students and local residents, to photograph king tides. These seasonal ultra-high tides highlight the way homes, harbors, beaches, wetlands, and public access to the coast may be affected by sea level rise in the future. King tides photos document current flood risk in coastal areas, help us visualize the impacts of future sea level rise in their community, ground-truth and validate climate change models by comparing model predictions with the high-tide reality, and serve as a living record of change for future generations. The annual effort to mobilize communities to visit their shorelines and share images is extensively covered by the media and engages the entire state in a climate adaptation dialogue. California Coastkeeper Alliance (CCKA) is a tax-exempt 501(c)3 organization. Contributions to CCKA are tax-deductible to the fullest extent of the law.